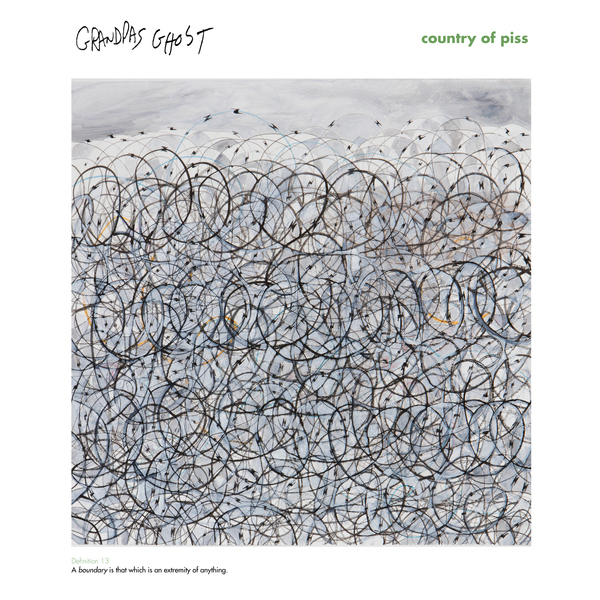 "Country of Piss" is the companion piece to Grandpa's Ghost's sprawling 2LP set "The Carnage Queen". Culled from the same sessions, the album features the etheral, psychedelic "Once Before I Die" and "When Hands Turn to Claws", the cyclical, epic title track and radical deconstructions of Judas Priest's "Electric Eye" and Neil Young's "Looking for a Love". "Country of Piss" is also available as a free download with the vinyl edition of "The Carnage Queen".